Published on Thursday, January 21, 2010. This article appears in the February/March 2010 issue of American Craft Magazine. 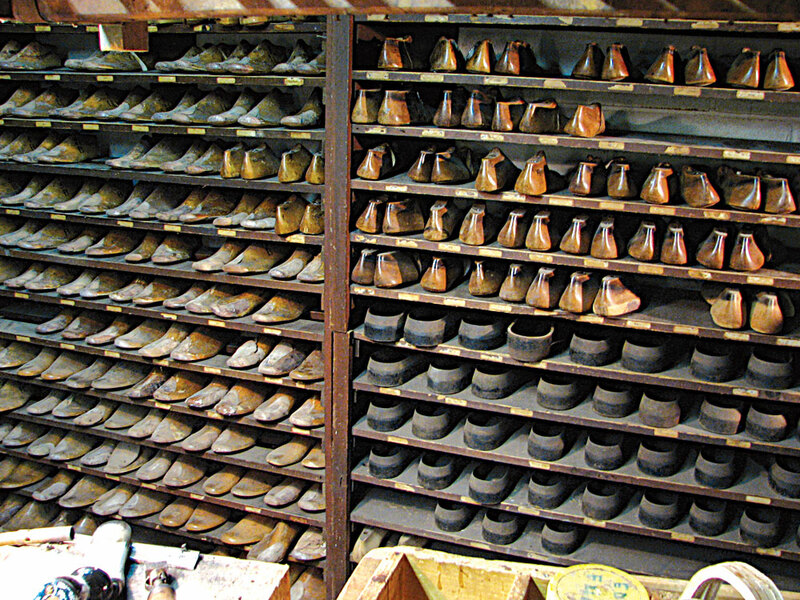 Shelves of lasts at the Cordwainer Shop in Deerfield, NH. Something happens when a beautiful handmade shoe catches your eye. You notice the warmth of its materials, the distinctiveness of its character, the humanity of its form. Slipping it on, you discover a rich tactile experience that commercial shoes simply cannot deliver. You can't help but wonder, with your feet enveloped in this careful work, "Whose hands are behind these soles?" Meet handmade-shoe makers Molly Grant and Sara Mathews of the Cordwainer Shop and Rafi Balouzian of CYDWOK. Their designs and business models may be as divergent as their home bases of Deerfield, NH, and Burbank, CA. Yet their respect for craftsmanship, healthy comfort and harmonious style are deeply shared. In the late 1920s, a sore-footed inventor determined that the healthiest, most beneficial kind of shoe is one with a low heel and a round toe. 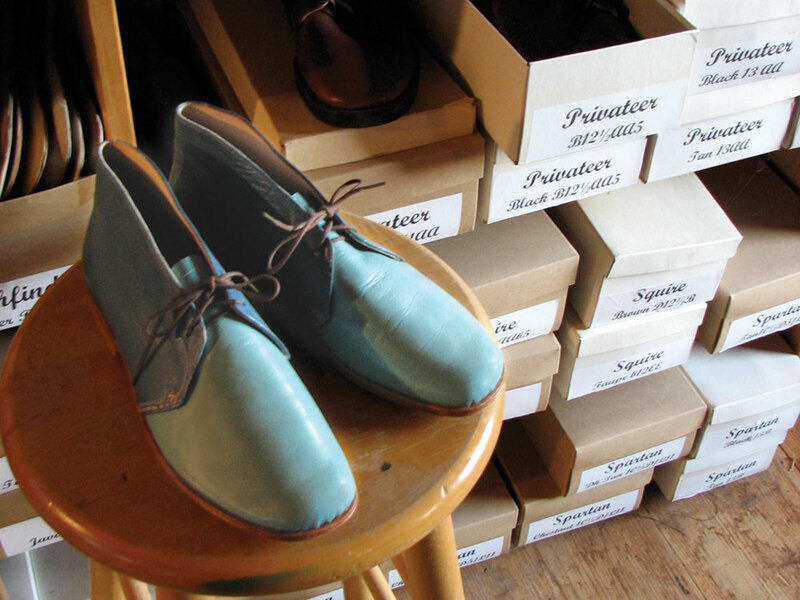 Inspired by this idea, the inventor's son, Paul Mathews, began making shoes, and left high school to become the head designer of his father's Boston shoe shop. Paul exhibited their specialty shoes at American Health Federation expos until he took to the rural life and moved to New Hampshire, crossing over into craft shows in the 1960s and '70s. Mathews built his business, the Cordwainer Shop, with his children as apprentices, making shoes in the workshop built from timber on their land and becoming a well-known and well-loved figure at craft shows from coast to coast, including the American Craft Council Shows and the League of New Hampshire Craftsmen's Fair. Mathews, who made shoes into his 90th year, died in February 2009. For 20 years, his wife, Molly Grant, and daughter, Sara Mathews, worked alongside him, and they are the Cordwainers now. (A "cordwainer" is someone who makes shoes; a cobbler repairs them.) Despite being juried members of the League with decades of shoemaking experience between them, Molly and Sara say they weren't certain they could continue the business without Paul. Yet orders kept coming in, and so, now with assistance from three of Paul's granddaughters, they are carrying on the tradition together. Still guided by perfectionist standards, the Cordwainer Shop's shoes are made to measure in endless color combinations and classic, well-proportioned styles. Supple leather uppers and soft shapes recall dancing shoes, yet their exacting construction makes them last. Today the Cordwainer Shop is thriving, with nine craft show appearances scheduled for 2010. Rafi Balouzian also got his start searching for a more comfortable shoe experience. An avid walker, Balouzian wanted to make a stylish shoe that would assist a "healthy, efficient stride." 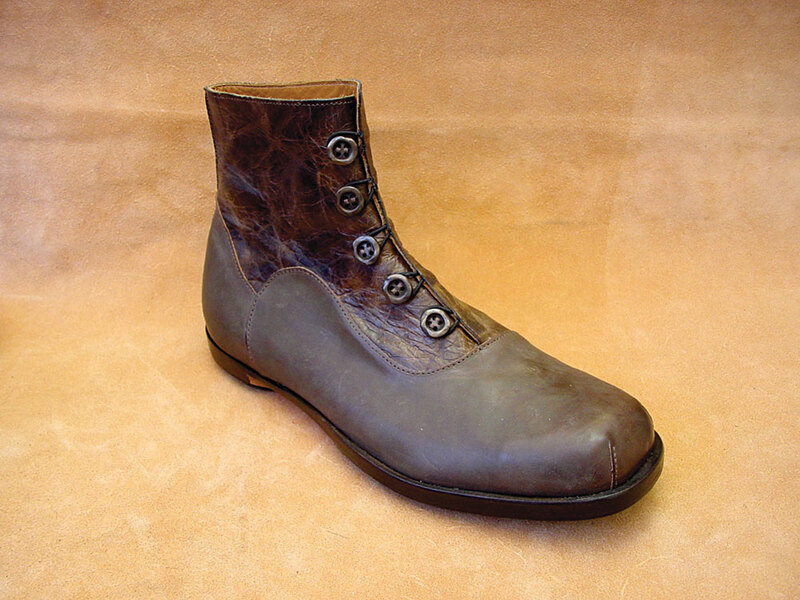 So he began developing the unique molded leather sole that would become the hallmark of CYDWOQ (pronounced "sidewalk") shoes. With his father and great-grandfather in the shoemaking business, Balouzian absorbed knowledge of the machines and materials of the trade at a young age growing up in the Armenian diaspora in Beirut. After college in California, he produced his first shoe collection while working as a designer for a Britain-based clothing line. Soon after, Balouzian branched out on his own, launching CYDWOK in 1996 with custom-made machines and 12 highly skilled employees, most still with him today. 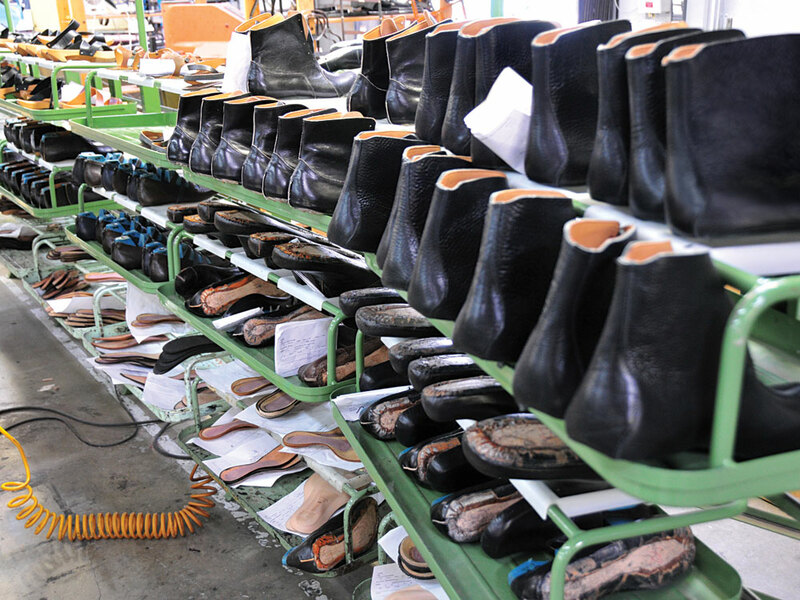 Producing handmade shoes on a larger scale, Balouzian focused on international shoe expos instead of American craft fairs, attracting mostly Japanese and European customers at first, and eventually capturing the North American markets. Today Balouzian's production team has more than doubled in size and makes upward of 35,000 pairs of shoes per year, each handcrafted to order using water-based glues, vegetable-tanned leathers and age-old techniques. With a background in architecture and the eye of a sculptor, Balouzian designs shoes by drawing directly onto the wooden mold, or "last." His highly structured shapes, from angular to sinuous, are built with rivets, unfinished edges, distressed leather and minimal stitching. No aspect of the style gets in the way of comfort; on the contrary, these boots (and pumps and sandals) are definitely made for walking. Shoes, a vehicle not only of personal style but also of our most basic everyday connection to the earth, protect and celebrate our feet. When someone's hands have caringly crafted our shoes, this everyday connection is transformed, as we are with every step. Writer and curator Amy Shaw lives in Brooklyn, NY. A sampling of handmade styles at the Cordwainer Shop in Deerfield, NH. 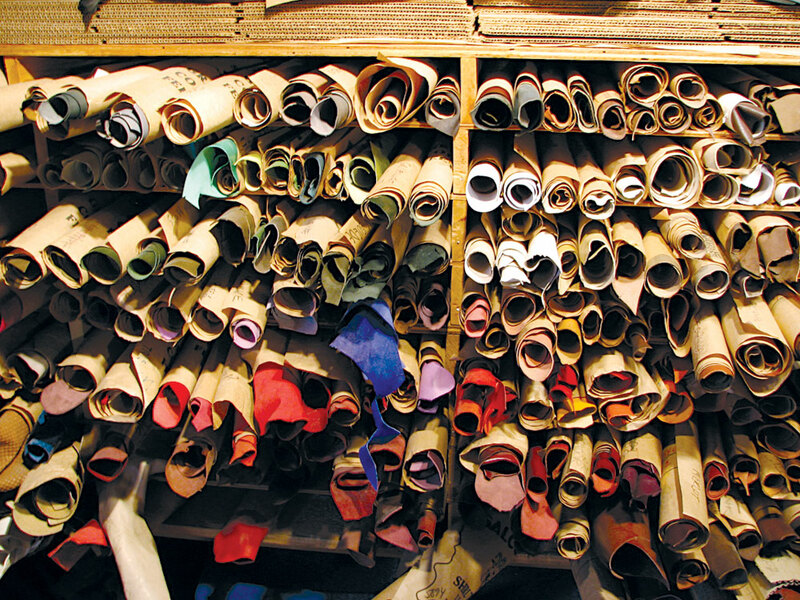 Assorted leathers at the Cordwainer Shop in Deerfield, NH. 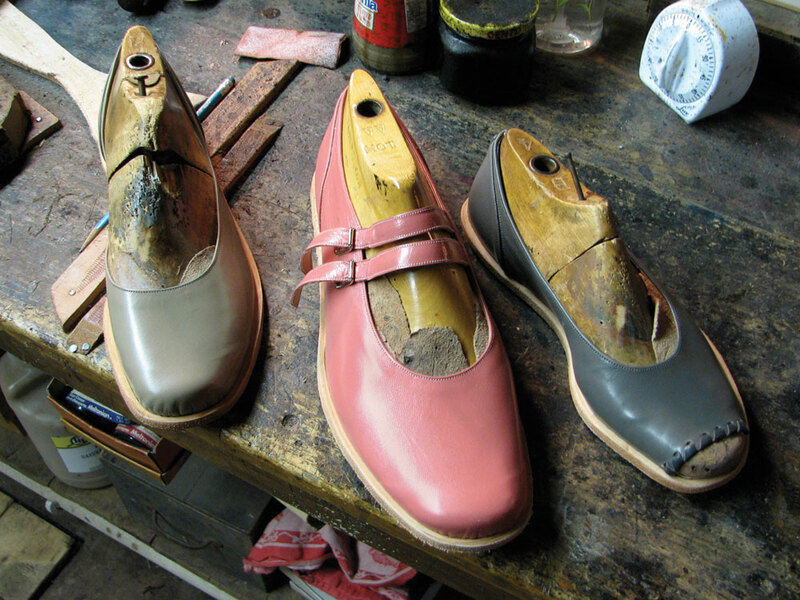 Handmade two-tone shoes at the Cordwainer Shopin Deerfield, NH. 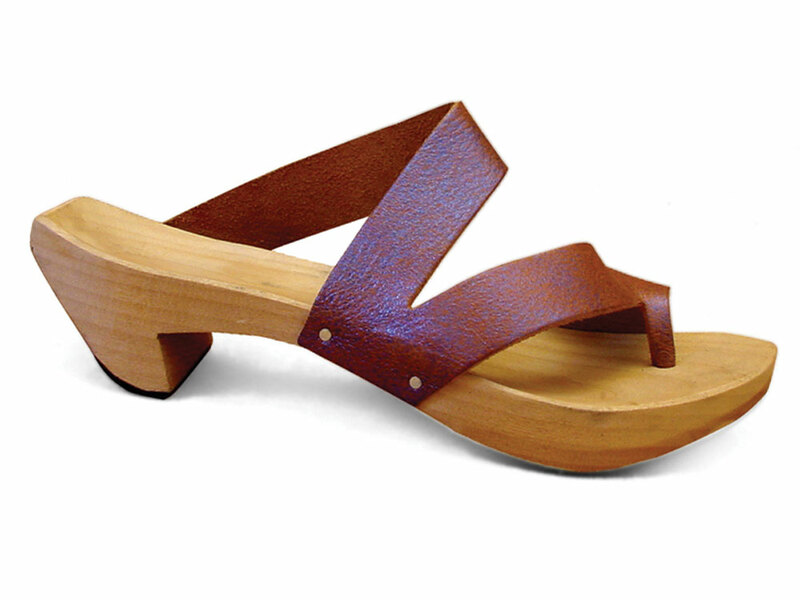 A sandal from CYDWOQ in Burbank, CA. 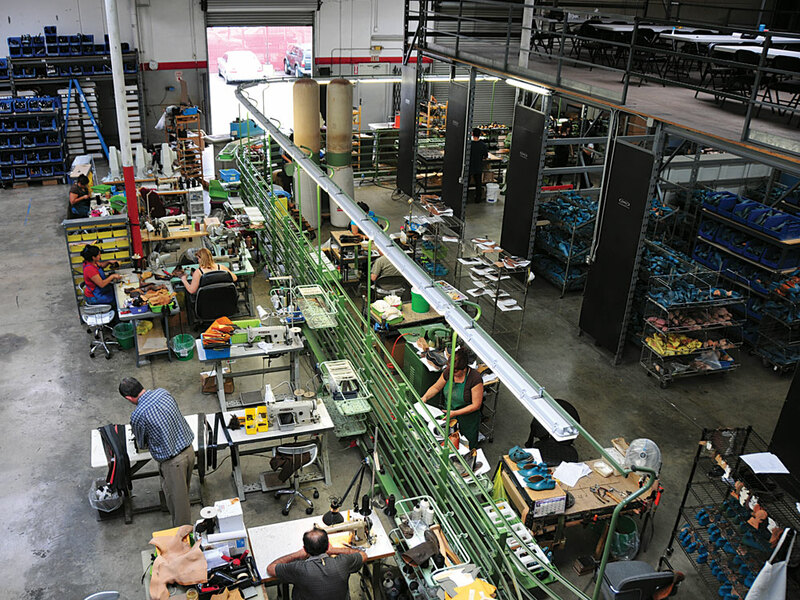 Handmade hoes in production at the CYDWOQ factory in Burbank CA. CYDWOQ shoes definitely made for walking at the factory in Burbank, CA. Craftsmen Keith Lovik is a master of a time-honored area of puppetry - the ventriloquist dummy.